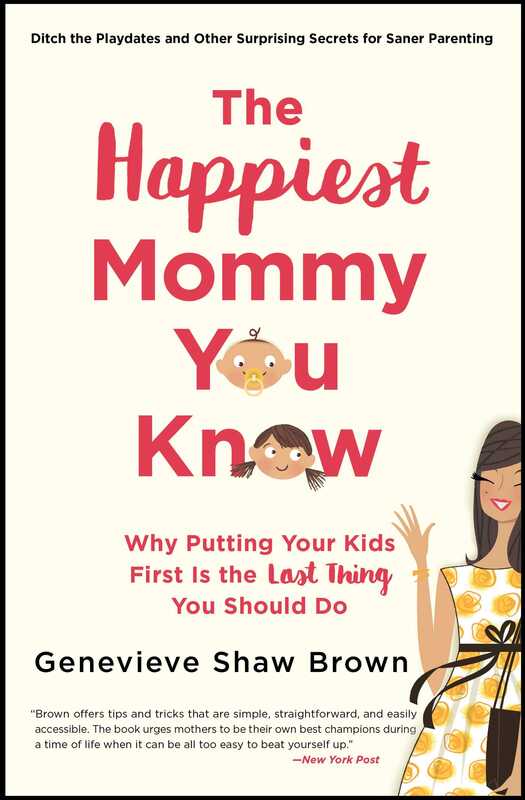 In this “guilt-free ticket to refocusing your priorities” (Parents Magazine), ABC News reporter (and mom to three) Genevieve Shaw Brown reveals the deceptively simple golden rule for maternal happiness and how today’s busy moms can live better, healthier lives. Award-winning reporter Genevieve Shaw Brown was hell-bent on raising her kids to like vegetables and eat more than chicken nuggets for dinner. She woke up at five a.m. every morning to prepare perfectly portioned meals of turkey meatballs along with veggies, couscous, mashed cauliflower, and sliced fruit for her small children. While eating lukewarm mac-n-cheese out of a brown paper box and feeling sluggish and tired most of the time, she realized that she had never considered eating what she made for her kids. After that, Brown put herself on the “Baby Diet”: she ate the healthy food her kids ate, minimized snacking, and created a more regimented meal plan. She felt better, lost those stubborn pounds, and prepared a short segment on her new diet for Good Morning America that went viral. After that, she began thinking further: what happens when you treat yourself the way you instinctively treat your children? From sleep training to exercising to making time for friends, Brown shares her own stories, expert advice, and innovative hacks to address the common issues mothers face while teaching women how to care for themselves with the same love and attention they give their children and families every day. The Happiest Mommy You Know is the life-changing and incredibly positive approach to the challenges of modern parenting—and gives parents permission to finally treat themselves better. Genevieve Shaw Brown is a lifestyle writer, editor, and reporter for ABC News living in New York with her husband and three children. She was the recipient of the 2013 Silver Grand Award for Lowell Thomas Travel Journalist of the Year from the Society of American Travel Writers and an Edward R. Murrow Award for excellence in reporting. The Happiest Mommy You Know is based on an article she first wrote for ABC News that was subsequently turned into a segment on Good Morning America.